When Phil asked me to join The Shell Case team he did so saying that I could look after the Dreadball content seeing as I’m a bit mental for it. Oh how he’ll rue the day… If for no other reason I find myself reviewing the Chromium Charges and I know how much he, and most of the other team members, wanted to get their hands on them. The Chromium Chargers are a team of robots built by some very bored scientists who wanted to see how good a Dreadball player can be, and backed by some large Corporations, keen to show off their newest robotics which can transform at will into whatever type of player the situation calls for. Now, transforming robots aren’t the most original idea for anyone that has owned a TV or been to a cinema over the last 30 years but, but let’s be honest it’s fun and therefore it’s a good one. And as they say “if an idea ain’t broke, don’t fix it”. From a manager’s point of view the way the team works is certainly interesting; having an entire team of Jacks and changing their role throughout the game can lead to a very different and reactive style of play compared to other teams. The Chromium Chargers box contains 10 models – 6 Jacks, 2 Strikers and 2 Guards, and whilst this is more figures than other teams get, [Unless you count the mispacks. -Ed] it actually only gives you 6 playable figures as all have to start as Jacks, but with the Chargers 6 is all you should need. Like all of the main teams it would be well worth picking up the team expansion as unfortunately all 6 Jacks come in the same pose. That said it is one of the better poses Mantic have done and I am pleased to say the same can be said for the Strikers as they are really dynamic and the Guards do look like they could dish out some damage. Plus with a whole team costing less than £15 it is hard to be anything but positive about them. The Chargers have been designed really well and with a high level of detail on each one, they do genuinely look cool. They are a much better design than I would have imagined; sleek, thin and they look like they would be mobile and capable of moving at pace. Mantic have done well managing to make the robots look as though they were built for sport without looking so solid that other races would just bounce off of them. This is important in making the models appear believably competitive but not invincible. I am also pleased that Mantic were also able to make the transformations look like they actually work and the great looking diagrams in the Season 2 rulebook helps to support this further. The models were also surprisingly easy to build, and this is coming from someone who is very much about the gaming first and the hobby second. Just like all the Season 2 teams, there was far less flash on the models to contend with than the Season 1 range. This made the building process a lot quicker and a whole lot more enjoyable, plus with each model being made up of only 3 parts, it further speeds things up but obviously limits your ability to make the figures in any way individual without conversions. Once the Chargers were built, I couldn’t wait to get them on to the neodurium [Neeeeeerd! – Ed.] and see how they played, and the fact is the team plays really well. The team has the all-round qualities you would expect to find in the human teams but their ability to transform them gives them a real feeling of flexibility. At the start of a game your team is obviously slightly hampered by having only Jacks and you will feel like you are missing out on the big tackles and tough shots, but with the Quick Change Artist special rule that will swiftly change. There is something extremely satisfying about watching an opponent’s face as without warning two of your players transform into guards and smash a hole through their line then a second pair change into strikers steal the ball unchallenged and score to take the lead. Despite this once you have played that one obvious tactic, throughout a whole game they are not always the easiest easy to play with and the Chromium Chargers do pose a truly enjoyable challenge to use. They would suit a gamer who is tactically aware as it is vitally important that you always have the right mix of players on the pitch for each situation that comes up and that you conserve some actions for changes at vital times. 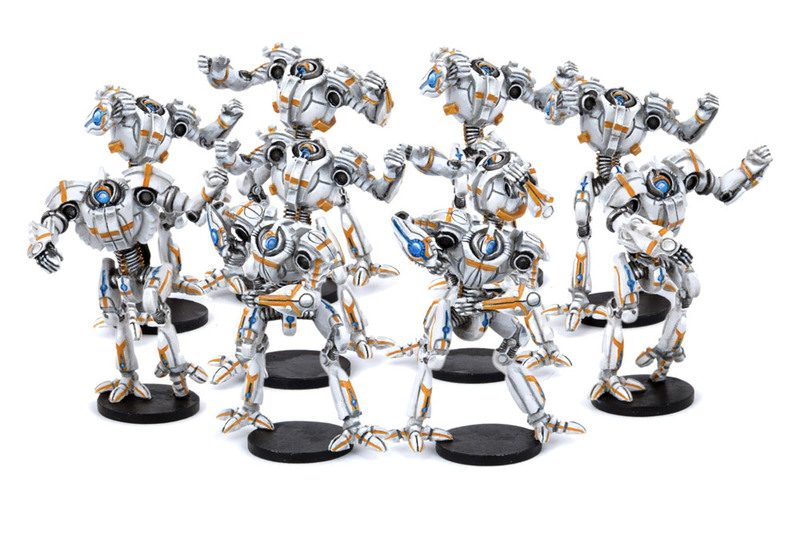 They are a great addition to the Dreadball Universe and are fun to play both with and against. The Chromium Chargers are available from Firestorm Games priced £13.49. This team requires the Season 2 expansion book available from Firestorm Games priced £8.99. Previous FaQs are dead! Long live the FaQs! Next Salute in Review: What Happened To All The Spending? 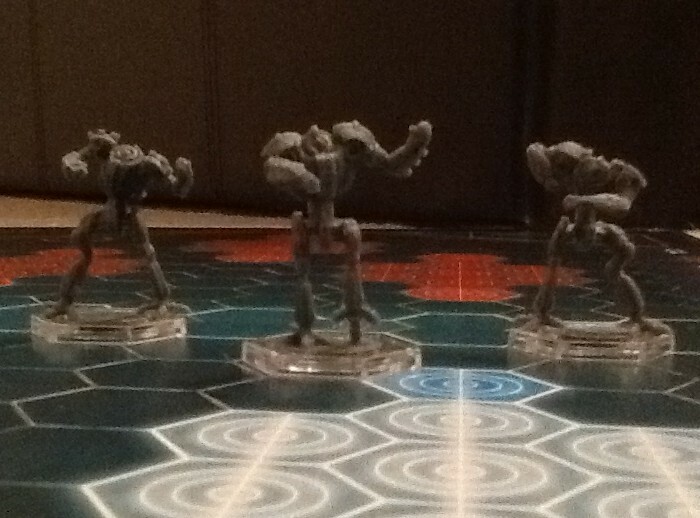 I’m a big fan of Dreadball’s robots. After a slow start, transforming into a couple of strikers and maybe a guard, they play very much like corporation with better statlines. The big drawback is a lack of bodies. One clattering from an orc guard and you’re really on the back foot. Still they’re my favourite team of the four I’ve paited so far.